Phonetics For 'The Traffic Light Tree'? 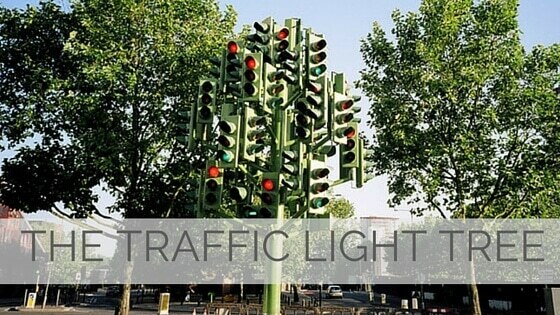 Traffic Light Tree is a public sculpture in London, England, created by the French sculptor Pierre Vivant following a competition run by the Public Art Commissions Agency. Originally situated on a roundabout near Canary Wharf, at the junction of Heron Quay, Marsh Wall and Westferry Road,it is now located on a different roundabout, near Billingsgate Market. The Public Art Commissions Agency has said, "The arbitrary cycle of light changes is not supposed to mimic the seasonal rhythm of nature, but the restlessness of Canary Wharf."